The Kliq vs. 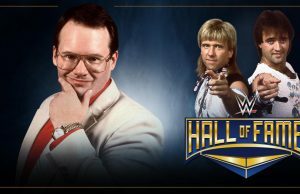 The Rock ‘n Roll Express featured in main event at Night of the Superstars. The main event at the Night of the Superstars from Top Rope Pro Wrestling features a tag-team dream match – Kevin Nash and X-Pac, The Kliq, vs. Ricky Morton and Robert Gibson, The Rock ‘n Roll Express. Night of the Superstars is set for Saturday, April 13 at Waynesboro High School, Waynesboro, Va.
More information on the show is online at www.TopRopeProWrestling.com. “This ought to be exciting. We know the response from fans has already been overwhelmingly positive,” said Chris Graham, the president and CEO of Top Rope Pro Wrestling. “I would rather these two teams compete at Wrestlemania than any of the current tag teams WWE has going today,” said fan ND Gabrielson said upon hearing the news. “That’s an epic battle 30 years in the making,” fan Krystine Forest said. The match will headline a loaded card that includes Jake “The Snake” Roberts, TNA Superstars Robbie E, Gunner and Miss Tessmacher, and Ohio Valley Wrestling stars Domino and Jamin Olivencia. Also appearing at Night of the Superstars is 2013 WWE Hall of Fame inductee Mick Foley. 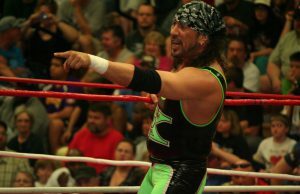 Sean Waltman In Trouble Again?